At STX Roofing & Construction we believe horizontal wood fences are a superb choice for homeowners and business owners seeking a cost-effective, environmentally friendly fencing option that will blend well into virtually any setting. Horizontal wood fences are cost-effective, easy to install, and available in a multitude of styles. 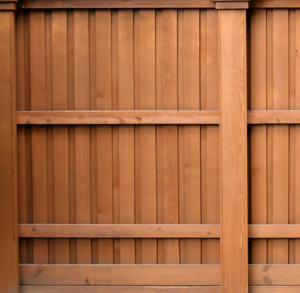 If properly maintained, horizontal wood fences can last for decades. There are multiple style varieties of horizontal wood fences and lucky for you STX Roofing & Construction can install almost every one. Style options include: board on board, split rail, spaced board, picket, stockade, and paddock. Homeowners often choose horizontal wood fencing because they can create a completely customized property environment, after checking with your HOA of course. You can choose your fence height to provide your desire level of privacy. Wood gates are also available in a variety of widths. You can stain your wood fence to match your surroundings and you can even mount some matching wooden flower boxes to fence rails. Environmentally conscious homeowners are increasingly choosing horizontal wood fences because they are now available with environmentally friendly preservatives and stabilizers that help minimize swelling while defending against rot and termite damage. Wood fences are also easily disposable. Call STX Roofing & Construction today for a free estimate!